~ Well-read. Well-versed. Well-grounded. Essays and Reviews. The story sets out to describe the interactions between the plain and competent loner Mr. Brook and the exotic foreign composer Madame Zilensky when she comes to America to teach music at his college. He appears dull, but tolerant of others while she is presented as at once dignified and scatterbrained. She loses her luggage on the journey but brings with her three boys, all blond, blank-eyed and beautiful. The boys give Mr. Brook the creeps from the outset. For example, something about the Zilensky children subconsciously bothered him when they were in a house, and finally he realized that what troubled him was the fact that the Zilensky boys never walked on a rug; they skirted it single file on the bare floor, and if a room was carpeted, they stood in the doorway and did not go inside. You don’t read McCullers for the prose, of course. One thing I wish she’d done with this story was to have employed a first-person narration. Every enigma in the text, once described, is followed by a variation of “suddenly he realized that…” A dull linkage that would have worked better in monologue, perhaps. She usually gets paired with Flannery O’Connor but to judge from their short stories, O’Connor had far sharper style. Spoilers beyond. Can you spoil a fiction that makes no sense? The rest of the story concerns itself with the oddness and inapproachability of the hardworking Madame Zilensky who, for all her stories of foreign climes and strange people, is quite alone in the world. Mr. Brook discovers soon enough that she’s a pathological liar in any case and worse, one without any possible motivation. The point is made that the lady’s inventions, such as meeting the King of Finland (which is a democracy) are more to please herself than others. Mr. Brook might pity her but his tolerance of the peculiarities of others ends with liars apparently, so he confronts her with the facts. She obstinately sticks to her story but with such an edge of panic that, not surprisingly, he relents, feeling suddenly like a murderer. The essence of the tale (it’s very short, by the way) thus becomes that of tolerance and understanding toward the lost, confused souls in this world. The Sane should pity the Deluded, if you wanted to make a parable out of it. And so it is the final paragraph that makes this story deliciously wrong and is the reason I’m writing about it at all. It’s a casual addendum that changes the meaning of what you just read without even referring to it. Having returned to his paperwork Mr. Brook sat looking out of the window of his office. The trees along the quiet Westbridge street were almost bare, and the gray buildings of the college had a calm, sad look. 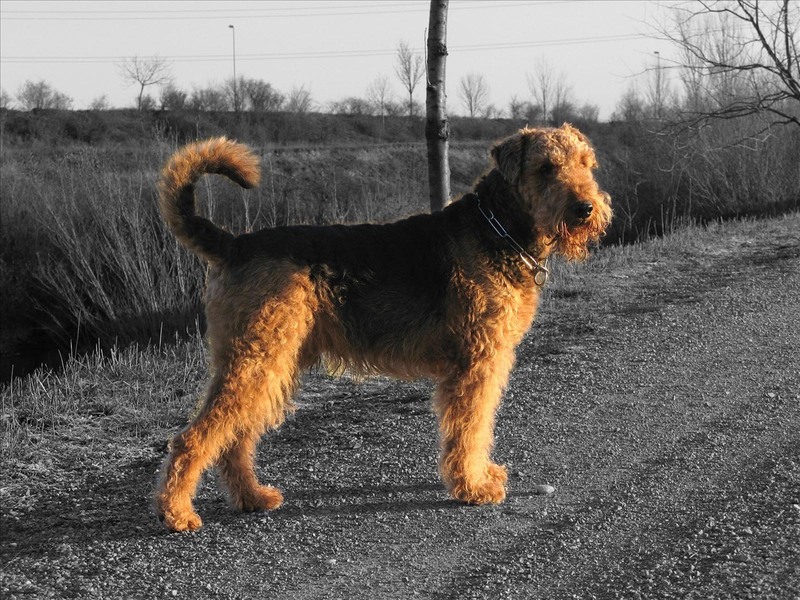 As he idly took in the familiar scene, he noticed the Drakes’ old Airedale waddling along down the street. It was thing he had watched a hundred times before, so what was it that stuck him as strange? Then he realized with a kind of cold surprise that the old dog was running along backward. Mr. Brook does not make further note of the incident and it is not explained in the text. It serves only as a kicker for the audience. The story is about truth. Mr. Brook believes that he has the monopoly on truth but the enigma of the Zilensky family is not solved in the end, nor can it be dismissed as a pack of lies. The world is strange and things happen that just can’t be reasonably explained. After all, if Mr. Brook can see a dog walking backwards along a street, than why can’t Madame Zilensky have seen the King of Finland? In choosing stories for an anthology the editor (unless of a themed collection) should select with great care for an author’s voice. The editor should ideally choose a story that encompasses an author’s style, so that a first-time reader will know on the instant whether or not he wishes to proceed with the author in question. This is only the ideal, of course. As a selection, Carson McCullers’ ‘Wunderkind’ seems to meet it. The story’s portrayal of isolation and failure appears by my research to be a wider theme in her novels as well. ‘Wunderkind’ came out in Story magazine in 1936 and is the debut work of Carson McCullers (1917-1967), who is usually tossed in the same boat with “southern gothic” writers such as Flannery O’Connor and Tennessee Williams, but while style and setting may point that way, my own emotional reaction pairs her off far better with a writer such as Samuel Beckett – in spite of the rather enormous differences between them. His despairing humour is missing here, and of course McCullers used character, setting and incident in the old-fashioned sense. Her own style is to draw attention to the physicality of her characters, in such a manner as to make them seem oppressive, heavy-set and clumsy despite their essential ordinariness, with the result that the story has a vividly disenchanted quality essential to the unfolding plot. ‘Wunderkind’ tells of a fifteen-year-old girl at a piano lesson. A simple enough story nevertheless filled with troublesome and depressing notions. The girl in question, proclaimed a prodigy at twelve, now finds her talent has deserted her. Showing up for this lesson after months of failures it’s obvious how badly she wants to do well and yet how much she wishes she were anywhere else. That’s it. The plot is pretty staid but the use of detail makes it dynamic – in the same way as looking down into a dark well. The girl in question is deeply troubled, a walking mass of insecurity, without having anything in the world to really bother her – an accurate depiction of the tendency in some teenage girls to become covered in invisible cuts and bruises. People make her feel awkward; her confidence falls to nothing; she speaks only in small sentences; powerful aversions toward the smallest trifles crop up; and she stops eating. That morning, after she had practiced from six to eight, her dad had made her sit down at the table with the family for breakfast. She hated breakfast; it gave her a sick feeling afterward. She would rather wait and get four chocolate bars with her twenty cents lunch money and munch them during school – bringing up little morsels from her pocket under cover of her handkerchief, stopping dead when the silver paper rattled. But this morning her dad had put a fried egg on her plate and she had known that if it burst – so that the slimy yellow oozed over the white – she would cry. And that had happened. The same feeling was upon her now. Gingerly she laid the magazine back on the table and closed her eyes. Continuing to read, there’s also a highly uncomfortable sense that her artistic longings are a big part of her problem and have in fact been damaging to her life, or at least her emotional well-being. After she had started with Mister Bilderbach and didn’t have time to see anything of the people at high school, Heime had been the only friend of her own age. He was Mister Lafkowitz’s pupil and would come with him to Mister Bilderbach’s on evenings when she was there….. Nothing mattered much except playing the music as it must be played, bringing out the thing that must be in her, practicing, practicing, playing so that Mister Bilderbach’s face lost some of its urging look. While her fingers unconsciously move in time to piano routines, what she recalls people saying of her performances indicates that “wunderkind” is far too strong a term for what she’s been capable of, even at her best – it’s a hoped-for projection rather than an actual verdict. There is then the sense that all the life in her has been draining away in a desperate attempt to be something she’s not. By the end of the story she leaves her lesson and turns the wrong way down the street, as if she’s entirely lost her bearings or wishes it were so…. The only glimpse McCullers gives of the girl’s home life is in the kitchen scene already quoted, so to all appearances the girl has fashioned a surrogate family for herself – and its dependence on music means that as she loses her grasp of the piano she is also being ostracized from the only place that matters to her. Heime, practicing since he was four, becomes the little brother who outpaces her; the childless Bilderbachs her surrogate parents. Often she stayed, when the Saturday lesson was finished, for dinner, and then spent the night and took the streetcar home the next morning. The tension between her and Mister Bilderbach as the student fails to live up to her teacher’s hopes is not helped by her adolescent attraction to him. Both appear to be entirely unconscious of it and McCullers’ use of such restraint is admirable. The delicate sensitivity of the entire piece is in fact quite astonishing considering how young she was when she penned it. Much as I admire this little story, however, the fact is I rarely ever read it, and still haven’t had much desire to explore her novels (though I fully intend to). Like Bruce Springsteen’s album Nebraska, this is the sort of art guaranteed to wipe out my good mood. And since the focus is on artistic failure, the story is doubly powerful. What writer hasn’t been afraid of writer’s block? What musician hasn’t been afraid the songs will stop coming? What if, no matter the work you put in, the artist in you has failed, your muse has sickened? How long before it comes back? Or will it ever? If those sort of ponderings bother you, you probably won’t be reading ‘Wunderkind’ any more often than I. Of course, having recently been a teenage girl, my reaction to it may be stronger than yours, but since a good writer can produce empathy for their creations no matter how different, I feel I should still warn you: This is depressing. A Note on Editions: ‘Wunderkind’ can be easily found in The Ballad of the Sad Cafe and Other Stories, recently republished (with the rest of McCullers’ work) in a nice trade paperback from Mariner Books. Or if you’re looking to be more comprehensive, you could get their copy of her Collected Stories instead. As for me, I only have access to the story through the compendium Women and Fiction (edited by Susan Cahill), an excellent work in its own right which I could also recommend.